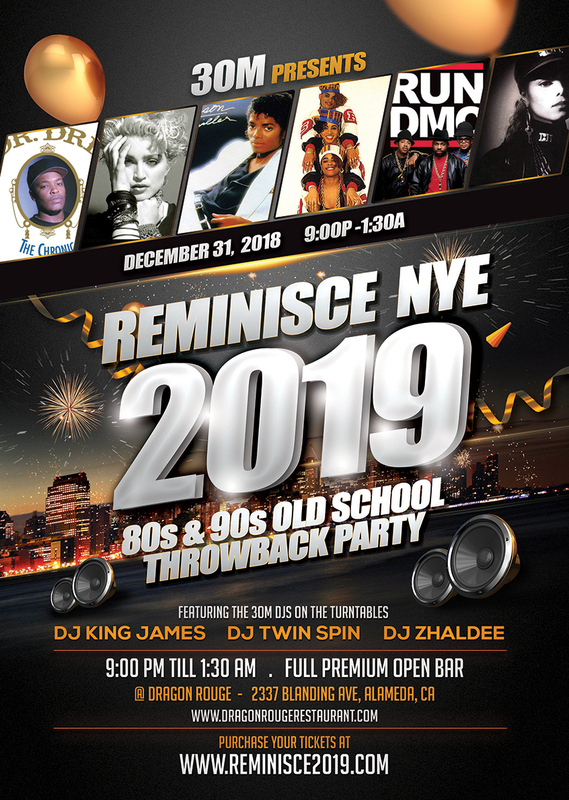 Reminisce NYE 2019 - 80's and 90's Old School Throwback Party! Nothing but the best 80's and 90's Old School Throwback jams all night long! -State of the art sound, lighting and video production. Happening at the ever so popular Dragon Rouge Water Front Restaurant and Bar in Alameda! Just off of 880 Freeway! 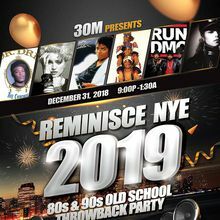 Featuring the the Bay Area's 3OM DJs on the turntables mixing up all the biggest 80's and 90's Old School and Throwback hits! -Old School Hip Hop - 80's - 90's - R&B Classics - Modern Rock - Freestyle/High Energy - New Wave - Funk - Soul - Miami Bass and More! Very limited amount of Pre-sale tickets and VIP packages available! This event will sell out! It always does!